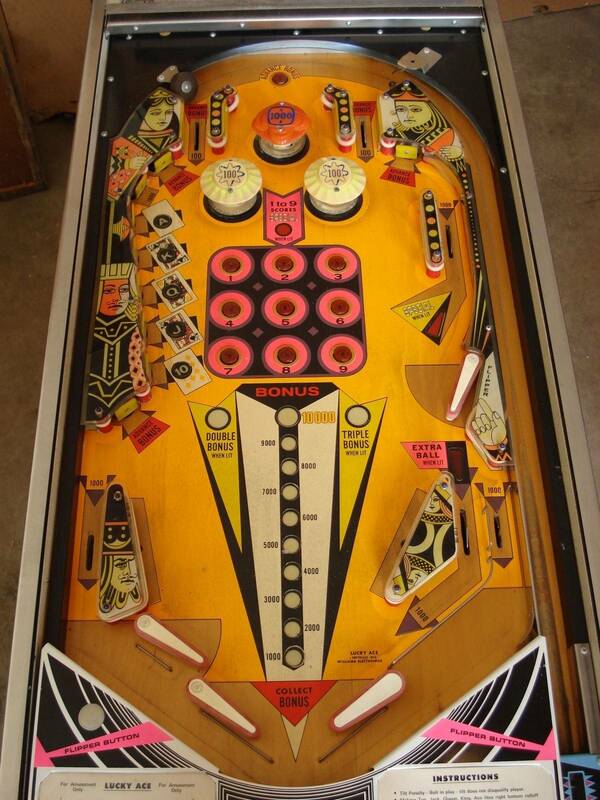 » Forum » All Pinball » Help me identify a pin with almost zero clues. » Help me identify a pin with almost zero clues. Help me identify a pin with almost zero clues. 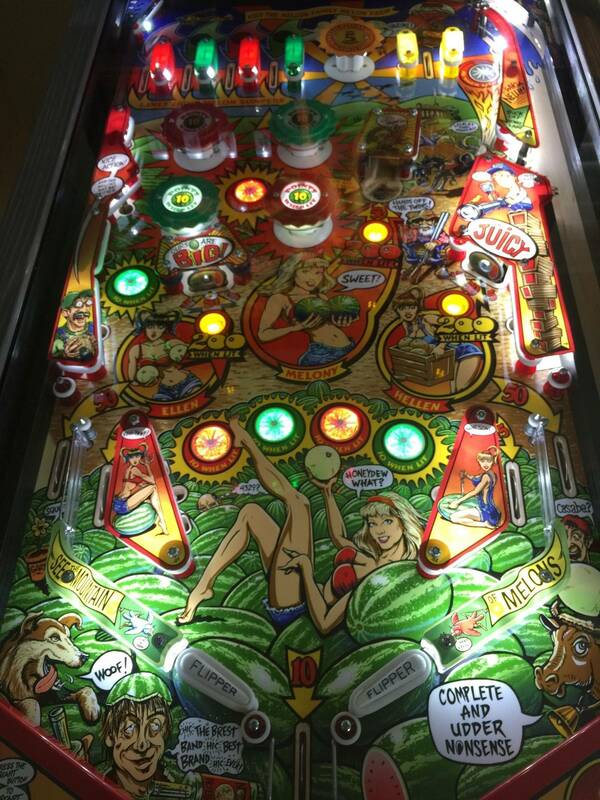 A co-worker of mine who is close to retirement really wants to get a pinball from his youth. The only thing he could remember about it is that it has 9 targets. When I pressed him on details I think they MIGHT be rollovers. I immediately guessed strikes and spares, he said not bowling based. When I asked what the theme was he could not remember. PINSIDE GO! How old is the guy, and when did he play the game? That would help at least narrow down the era. I assume if he's close to retirement it was an EM? Ugh...not giving enough info. This is a tuff one,ask your friend more questions. I mean, you are both right. I am working on him for information. Ok, he played it in 1974. I am not convinced the buttons aren't actually just inserts. 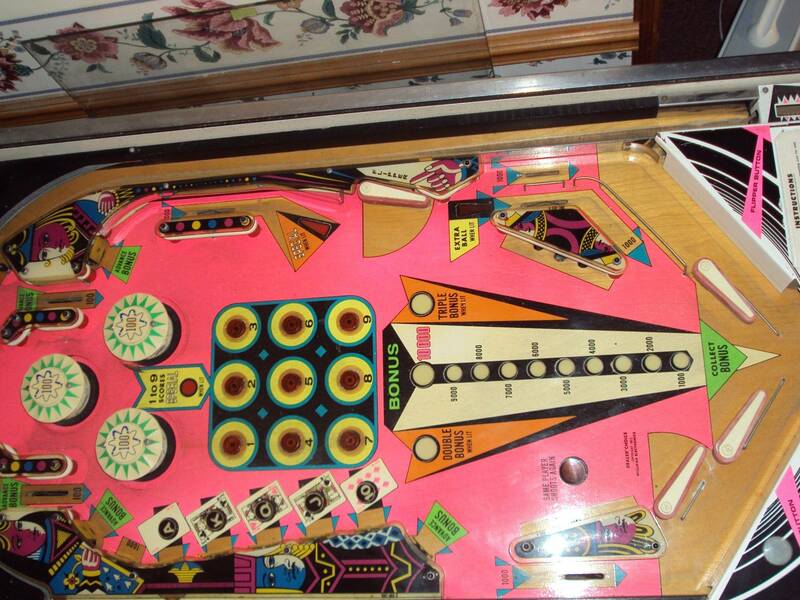 He said there was a uniform grid of them in the middle of the playfield, maybe 3x3 or 4x4. I showed him space shuttle and he said it looked close, but was not it, and it doesn't match the time frame anyways. Hot Line or Big Strike ? Those are rollover buttons in the grid BTW. *Edit* Oh, if he said Space Shuttle looked even remotely similar it ain't that..
Could be any game pre 1974 then. Egg Head has 9 pop bumpers. I'm good but not that good. Simply not enough to go on here to make any kind of even mildly educated ballpark guess. 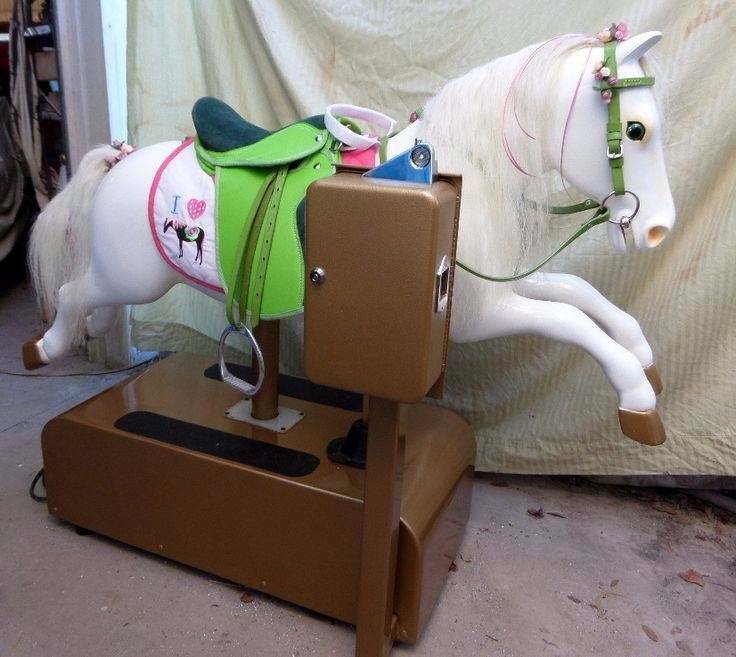 It might not even be a pinball machine! Has a 3x3 grid numbered 1-9 in the center of the playfield. No separate nine targets though. does he remember if it had a bonus count up or not? If he doesn't remember the game that well, then it can't be TOO important to get that exact game as a replacement. Get him a Whoa Nellie. He'll love it! 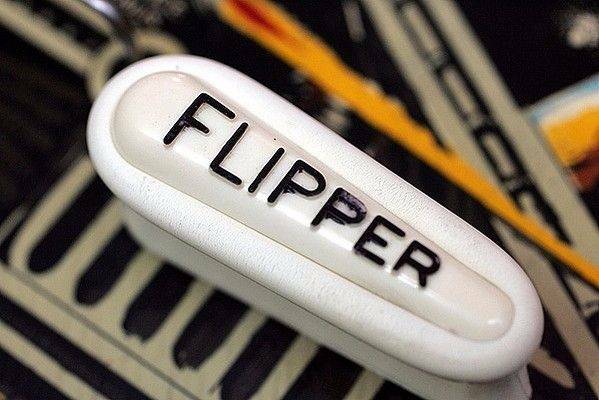 remember if it had small flippers..
Add in the human frailty of a poor memory or even worse, false memories, and it make this even harder. Here's a couple of questions to ask. Others can add if they think of anything. 3. Names like Gottlieb, Bally or Williams. 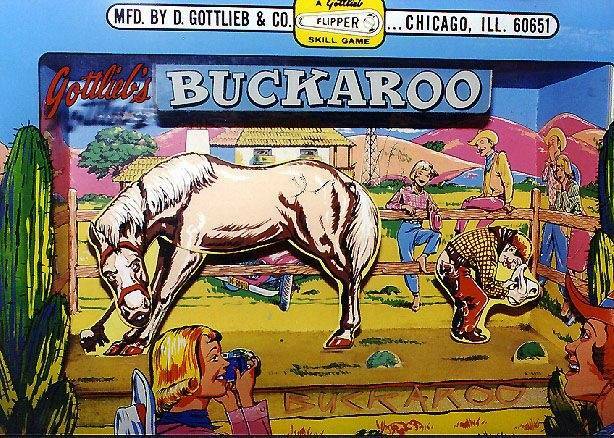 Grab some pictures off the internet for example such as the small flipper or Buckroo animation. Gottlieb Four Square? Was it a single or multiplayer? Ok, more clues. Sorry for the feed here but I have to translate his description to pinball speak. 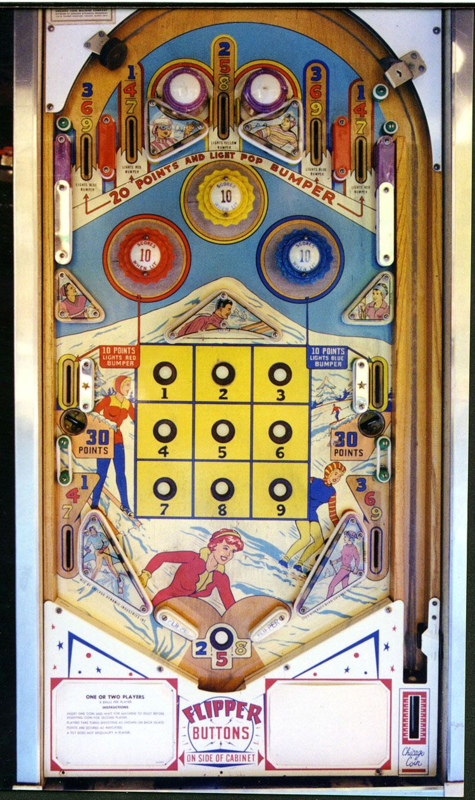 Anyways, he seemed very sure that there is an outlane and an inlane on each side, and somewhat sure there were 2 flippers in the middle area of the playfield. 1974 Lucky Ace? Dealers Choice (the multi-player) was guessed previously. Has 9 orange rollover buttons in a grid pattern. 1974 Lucky Ace? Dealers Choice (the multi-player) was guess previously. Has 9 orange rollover buttons in a grid pattern. You are thinking much faster than I am today. Maybe you can help me remember a game I played as a child. 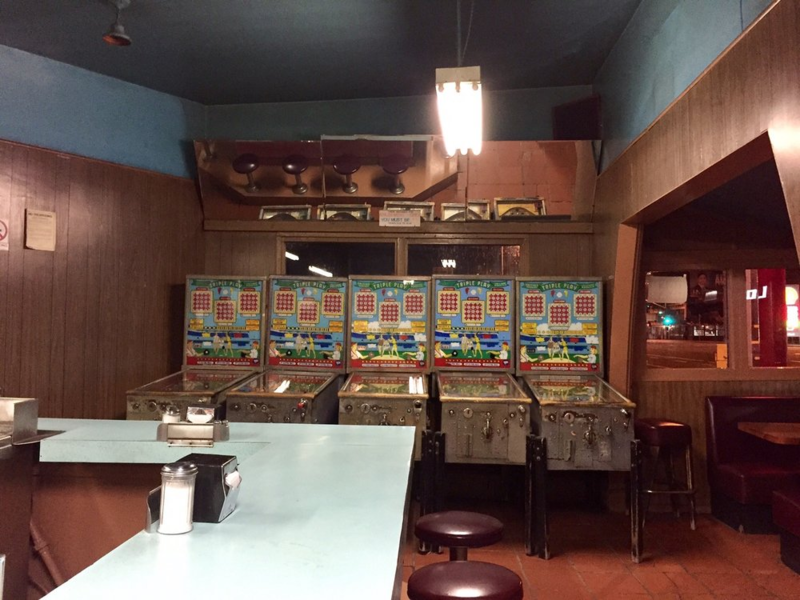 All I remember is it was about 1968, it was in a donut shop, and it cost a nickel to play. Well I have a Lucky Ace so that makes it easier. 1968 huh? That was before the gold Schwinn Stingray. Not much to go on but I can tell you it wasn't El Toro. I always enjoy these and am blown away by how much people on this site know. Good stuff. No it wasn't!. And i'm sure it wasn't Hot Line either because that was the one in the market across the street from that same donut shop. 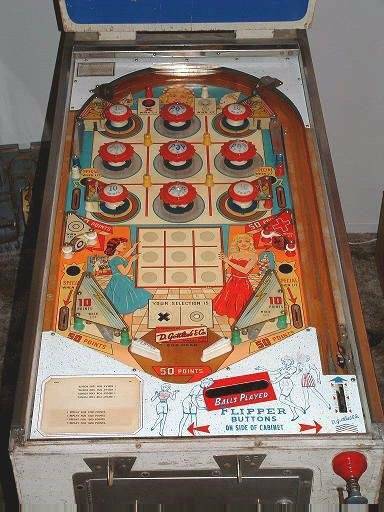 I remember it being an older machine at the time and maybe I played it once or twice, but it was kind of neat as it only took a nickel instead of a dime. 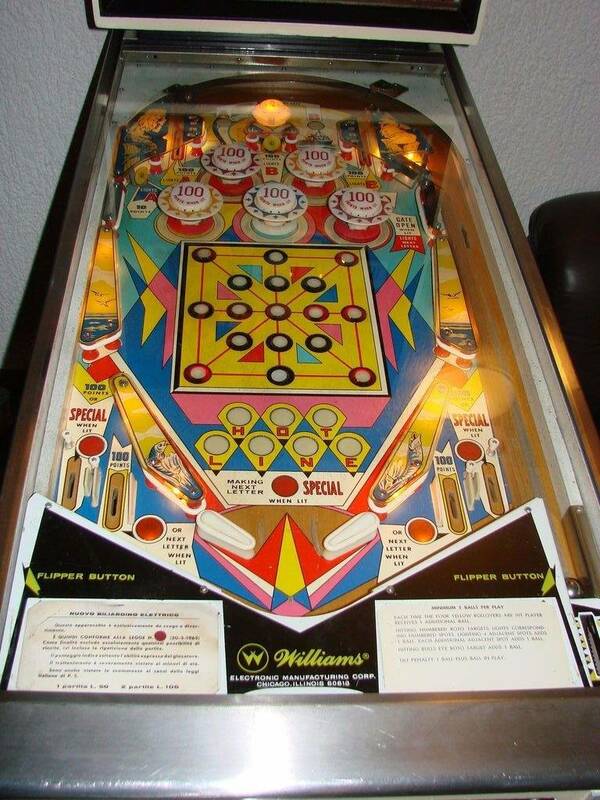 The 1960 Williams games I've owned were a dime a play. So it was earlier or a different manufacturer. Narrowing it down. Nope. That was out front of the local supermarket. 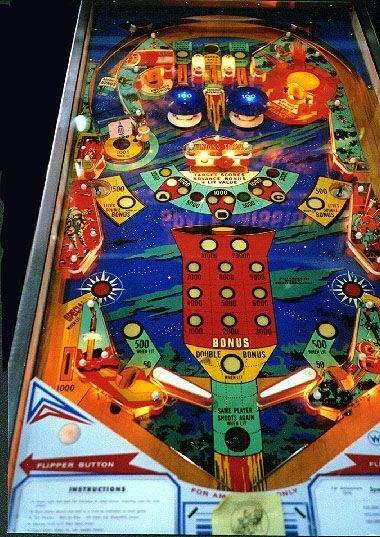 I guess when you were 6 years old in the late 60s, it never crossed your mind how important it would be to remember each pinball machine that you played as you were nearing senility later on in life. different manufacturer. Narrowing it down. No wonder I can't remember it. 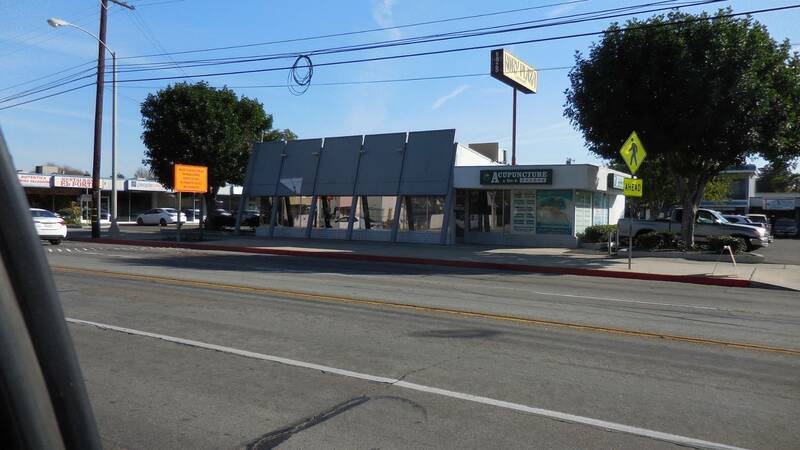 After that donut shop went away it became a BBQ restaurant in the same building, and now it is a cell phone store. A place that I never felt the need to venture into. It's only a few blocks from here. Maybe if I go in there and stand in the very spot where that machine was it might all come back to me. But then again, I never thought much about it when I was in there chowing down on ribs, but at that time that's where the kitchen was. Well, so much for that cell phone store. I don't think I'll remember anything if I go inside this place. Dunkers Delight Donuts is long gone. Just as well. I think I'll go rake some leaves now. Silver Crest Donuts. San Francisco. 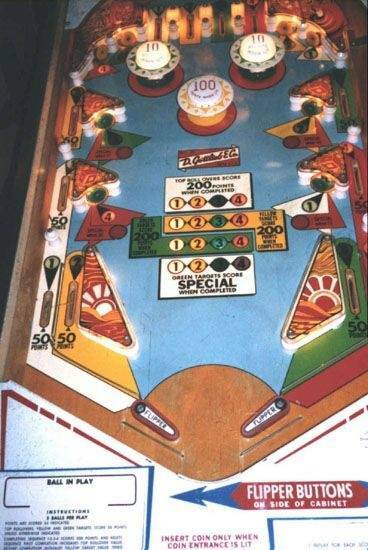 Is there another williams game like this with the orange buttons lower on the pf and inlanes on both sides? Ok, maybe it's time to put your friend to work on this. 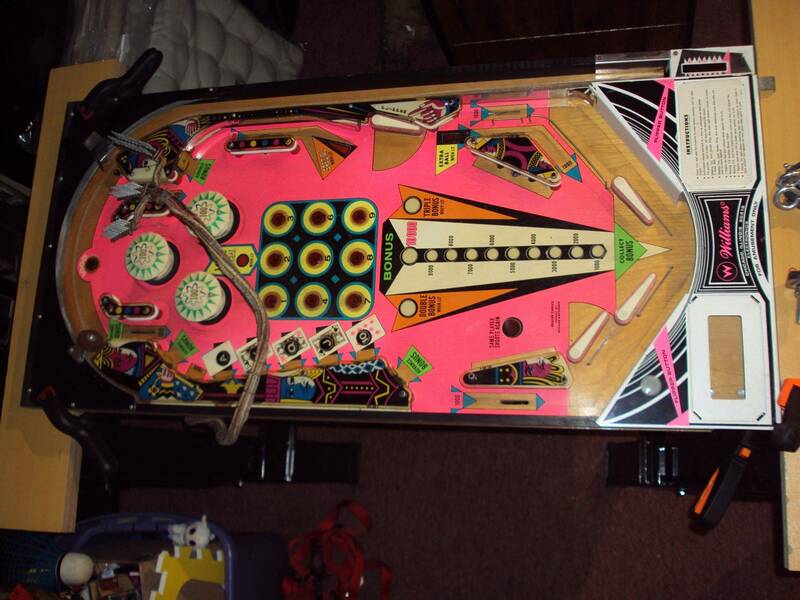 Below is a link to the Pinball database. 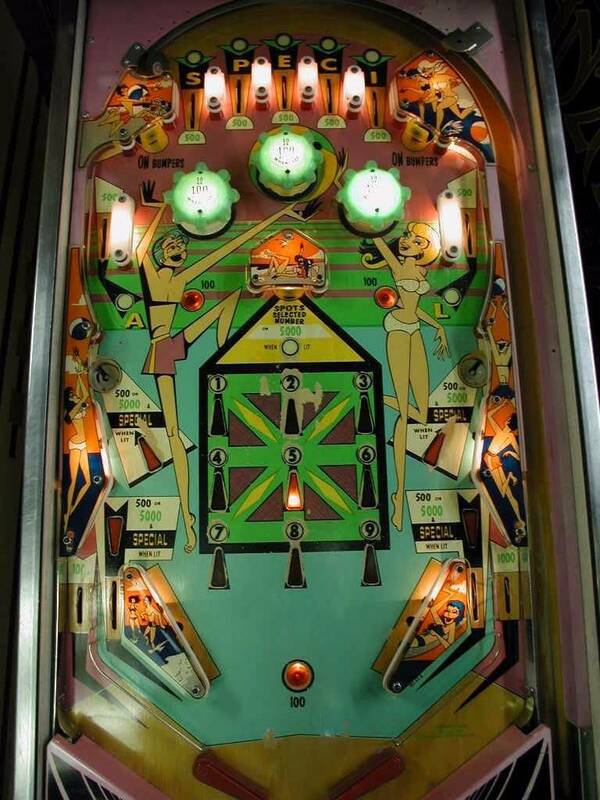 Assuming you have correctly narrowed it down to a Williams, electromechanical machine, I have used the advance search feature and that link will take you to a list of Williams EM games made between 1967 and 1977. If he doesnt spot his game there and you come up with new search criteria, let me know and I'd be glad do another search base on the new info. Also found a Gulfstream but I don't think this is it without the orange buttons. Mystic has a grid, but it's not roll overs, just lights. But "grid and nine targets" had me thinking Mystic at first too. I believe he said he "played" it in 1974. It could have been a routed game of that year or any number of the years preceding. Not to bring this back from the dead...but did you ever figure it out?! I need to know lol! 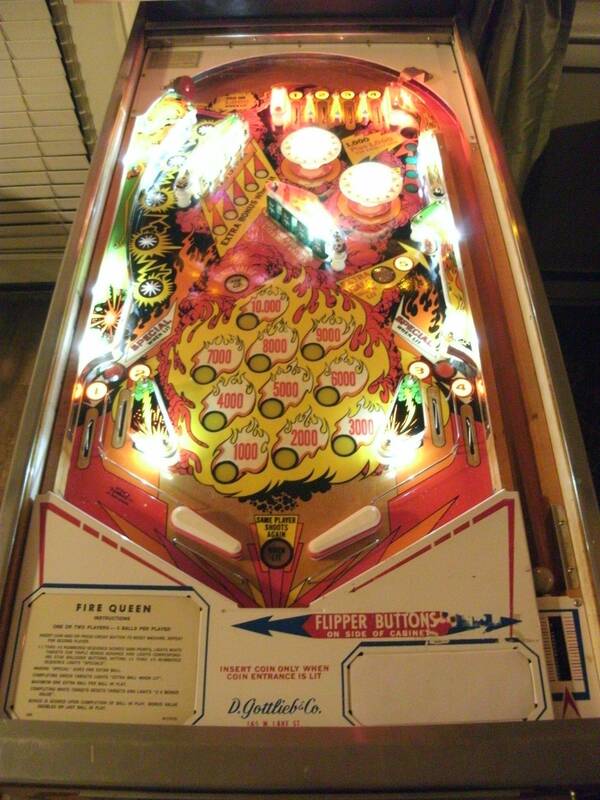 '77 Firequeen has 9 drop targets! 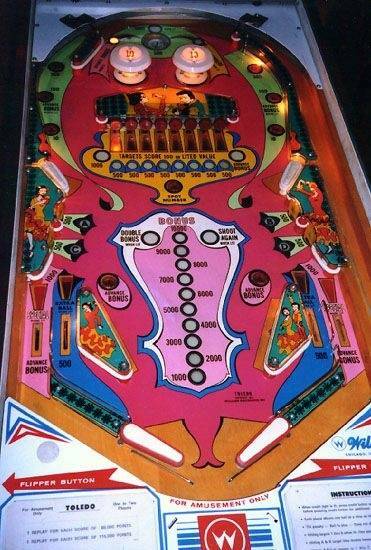 Also check Vulcan it's the 4 player version! Here is the Dealer's Choice.